Microsoft has finally come clean and told the world that its next generation console will hit shelves November 22nd. This is a limited release in its 13 initial launch markets; more will follow in 2014. "We are humbled and gratified by the tremendous interest in Xbox One from game fans everywhere," says Microsoft's Yusuf Mehdi. "We sold out of our pre-order supply faster than at any other time in our history and we are on path to have the biggest launch of an Xbox ever." The PS4, Xbox's most significant rival, launches in the US on November 15th, a full week ahead of Microsoft's console. So that leak which came out a short while back - alleging that the Xbox One was due November 8th - was as reliable as leaks so often are. It's still the case that only 13 countries, out of the original 21, will get to see the Xbox One in all its glory. The rest of us will have to be satisfied with some other gaming device. "We understand this will be disappointing news for our fans in the impacted countries," said Microsoft at the time the 13 countries announcement was made, "and we are doing everything we can to bring Xbox One to you as soon as possible next year." An unknown date in 2014 is still the projected release for Xbox One in countries outside the golden 13. "We built Xbox One to bring you the best games, unrivalled multiplayer and more entertainment than ever before," says Mehdi. 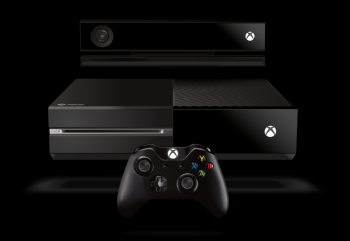 "It's nearly time to say 'Xbox On' and open a new world of games and entertainment." Pre order numbers have not been confirmed, but Mehdi did say that additional Day One limited edition consoles - no word on an exact number - would be made available today.